The Moving Picture Blog: Hey! Christian Bale! You're the star of the No. 1 box-office hit in the entire world! What are you going to do now? Hey! 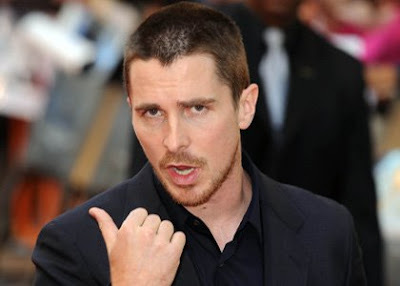 Christian Bale! You're the star of the No. 1 box-office hit in the entire world! What are you going to do now? Well, maybe you should have gone to Disneyworld instead of doing this. Ebert & Roeper without Ebert or Roeper?